Welcome to our home-away-from-home. John and I have completely remodeled our 1200-square-foot condominium to ensure you have a comfortable stay while enjoying paradise. There is a fully-equipped kitchen for those who love to cook, a large dining room table for those who love to entertain, or comfortable lanai and furniture for those who enjoy watching the sunset while enjoying a meal. Our downstairs bedroom has two twin beds and an armoire with TV/CD/DVD/VCR, the downstairs bathroom has a stone tub and shower along with beautiful furniture and accessories. The upstairs master bedroom has a king-size bed, armoire with TV/VCR, and is beautifully decorated for maximum comfort. The master bathroom is surrounded by comfort and luxury with a large stone tub to enjoy a relaxing bubble bath and a separate stone shower. You will enjoy gorgeous views of the ocean and the beautiful grounds from the lanai both day and night. For your convenience, those who do business while vacationing, we have a printer, fax, copier, as well as free long distance, DSL or wireless internet access, and a desk to work from. We hope you enjoy our little piece of paradise. We loved the condo, the location and the kind staff at Kahana Village. We were nervous having booked on line but we really found it an excellent choice. It was clean,comfortable and the grounds were beautiful. We enjoyed the beach and the pool. 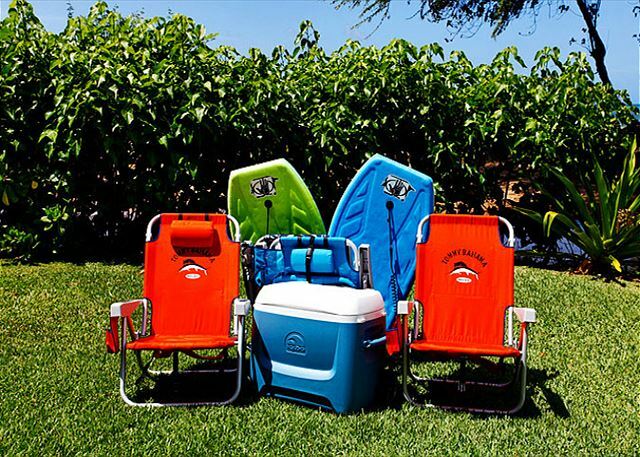 The MaiTai night was great and We were so happy to have beach chairs, beach towels, boogie boards, a cooler and an umbrella to fully enjoy our beach days. It was a vacation to remember. 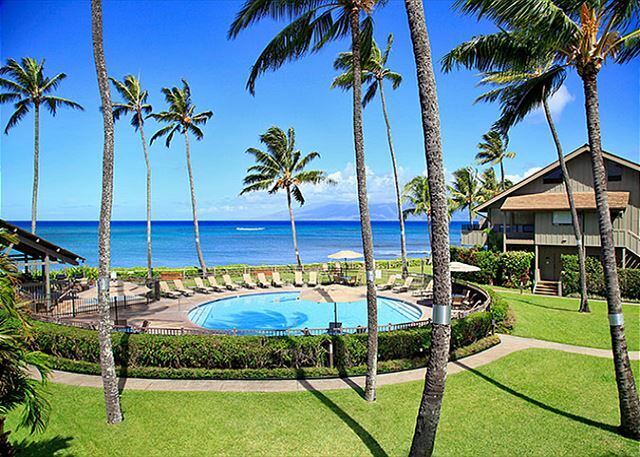 We highly recommend Kahana Village! We rented a two bedroom unit with air conditioning for a week. The accomodation was clean and well appointed. Compared to holiday rentals in Australia, you don't have to worry about dish washing liquids, detergents, towels etc. You entire stay is well catered for. The location is excellent and there are a number of shops and restaurants nearby. 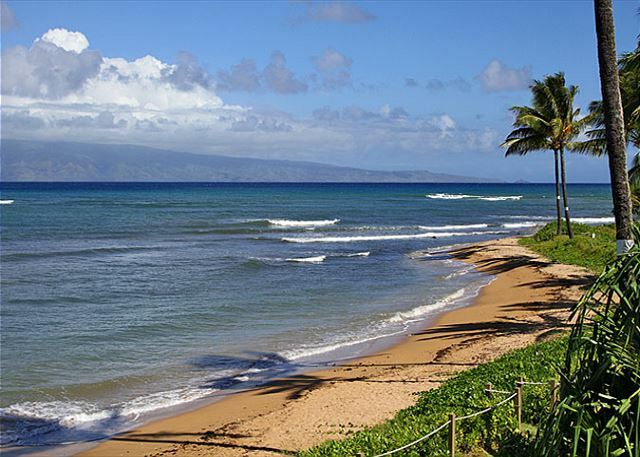 Lahaina is only 10 minutes down the road and there is easy access to large supermarkets and shops. The grounds and facilities, especially the BBQ area is superb and the beach safe and easy to swim in. Overall, can't find any fault on the rental - it is superb. We rented Unit 11 at Kahana Village for our honeymoon. Everything - from the furniture, available snorkelling equipment, beach chairs and towels, to amenities, such as pool, hot tub and BBQs, to staff - was just perfect! We totally enjoyed the ocean side location - the sunsets are wonderful! We will be back!